May 2018 be a year full of gratitude, good times and good vibes! I am looking forward to an incredible year in the real estate market locally in the Spruce Grove. Stony Plain, and Parkland County area. 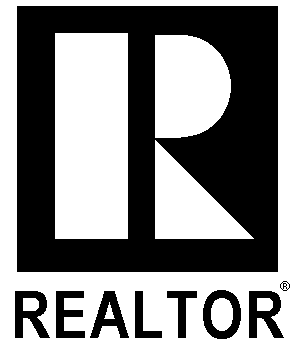 I am looking forward to helping families reach their real estate goals and dreams. It's January. It's early 2018. Families are just getting back into the swing of things after new year and Christmas. BUT! People have been inquiring about this topic that we are going to discuss today. I'd like to address one of the biggest questions I get asked in today's market...What is my home worth? There are many ways that you could look at to determine the value of your home. Number one way is to not pay attention to the news!!! :-) Often times, people say "Travis, this is what it said on the news" but more times than not the source on the news has grey stats or does not look at the "big picture" of what is ACTUALLY happening in the local real estate market. Many times people's view of the market value are mislead due to this source of real estate values. Seek out a local expert in the marketplace to receive updates on sales, trends, and true stats of the market. If your best friend provides opinion's of value of your home and has zero experience in the real estate market...their opinion is more times then not, NOT accurate. Again, seek out the expert in the area with the experience that will provide you with the most accurate value of your home. Market value - Simply defined as and what you'll hear me say is "what a buyer is willing to pay and what the seller is willing to take". Our jobs as realtors are to bring the buyer and seller to this meeting point. This is the number one way to price residential real estate and the technique that needs to be analyzed when pricing your home. This market value is determined through an in-depth market analysis of comparable sales, active listings, expired listings, market trends, and buyer demands. Through technology and the modern day Multiple Listing Service, property information is readily available... sales stats, days on market, etc., so the prospective buyer is going to see this anyway, may as well price your home at a fair market value so you can negotiate a fair sale price for everyone. THIS IS ESSENTIAL in the current buyers market that we are in :-). Investment value - It is the value established by financial considerations. This could be applicable to residential real estate or commercial real estate or even raw farm land! It is most often times looked at from an ROI (return on investment) point of view. What is my cap rate? What is my investment to get investment out? What kind of land/soil is this parcel of land? What are the vacancy rates in the area? These are all questions that a real estate professional that has experience in investment value real estate should be able to answer for you. These types of value are all worth looking into when assessing real estate values. They all have their time and place, but don't forget to ask your trusted real estate professional which applies the most when assessing your piece of the best investment on earth.